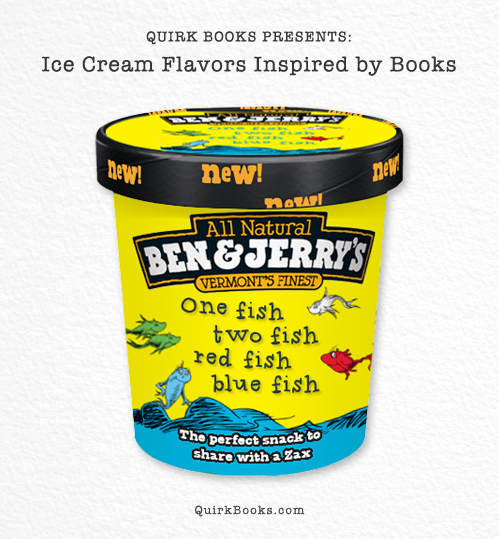 Philadelphia-based publisher Quirk Books has created a set of six mock Ben & Jerry’s ice cream flavors based on famous books. 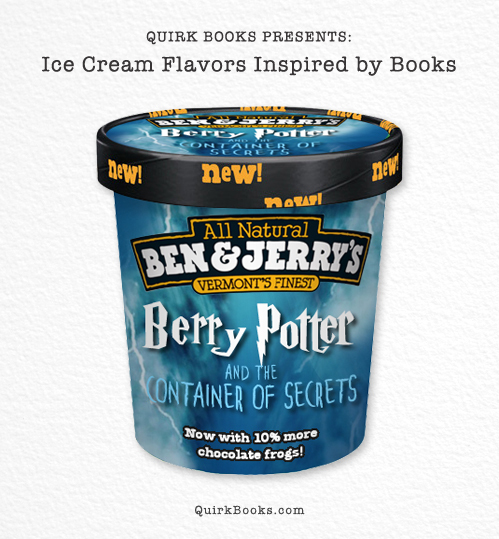 Berry Potter and the Container of Secrets is “a magical blend of butter beer, Bertie Bott’s Strawberry Flavour Beans and chocolate frogs” and the cleverly named War and Peach flavor is “An ambitious, sweeping, and impeccably detailed frozen treat of truly epic proportions, with so many ingredients that you’ll forget most of them existed by the time you’re halfway through your cone. 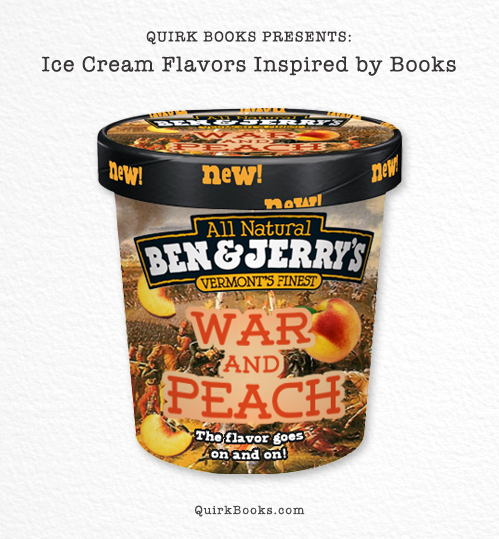 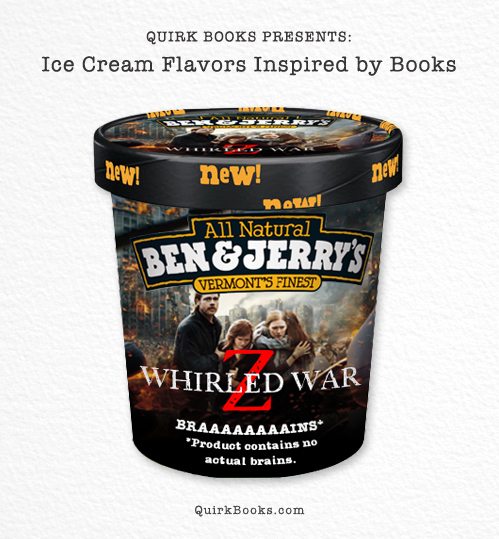 Not easy to get through without a headache, but if you make it, you can brag about finishing it for the rest of your life.” For more fun flavors like Whirled War Z and A Clockwork Orange Creamsicle, head over to Quirk Books.